It is an Italian-made slightly modified and HIGHLY IMPROVED version of the Israeli UZI. It has a 32-rounds capacity magazine, and fires from the closed bolt position. Its folding stock is much more easy to use than the original retractable one. 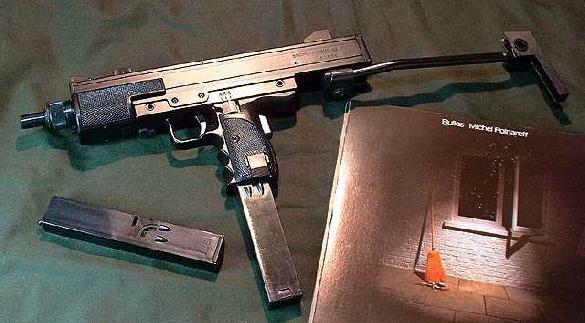 The gun in its entire complex weights at least -1 Kilogram than the original UZI. <p> I HAVE TRIED THIS ONE, more than one year ago, in a National Police shooting range, thanks to a family friend who is police inspector. No, really, a very good gun. Too bad it's no longer in production, SOCIMI has shut its production plants down, forced to do this by the Government, after it was found out that they had exported firearms without the proper authorization of the Italian Ministies of Interior and Defence.